I’m proud to announce a brand-new series, One Piece: The Grand Re-Read. Join me, Josh Klafter, Captain of the Josh E. Pirates, as I take a gonzo voyage back through the Grand Line. Just as Gol D. Roger left notes on poneglyphs across his route to Raftel, I will be dropping a blog post for every arc I re-read. In these analytical scribings, I will be sharing my second impressions, newfound observations, and addressing any points of theorizing interest. During my first time taking the monumental journey that is One Piece, I consumed the narrative in a somewhat unproductive manner. I would frequently switch between the lackluster anime adaptation and the masterful manga at arbitrary points. 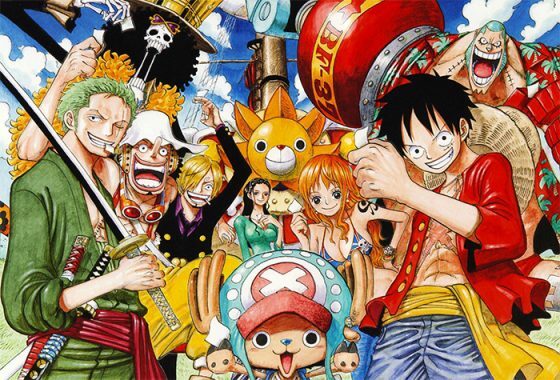 Don’t get me wrong, I still came out of the experience declaring One Piece as not only the best manga (and overall comic for that matter), but one of the greatest fictional stories ever written. Regardless, I owe it to myself to go back and consume one of my favorite pieces of media in the way it was originally intended to be experienced. Long story short, I need an excuse to re-read such an abnormally long series in the time that I could be consuming new content. I’m not going to beat around the bush; this project will be a lengthy one. For context, my first “read-through” of One Piece took roughly eight months, throughout all of which I was just a university student taking four courses a term. I am now working a full-time job while rapidly approaching my final semester of college. I can’t make any guarantees, but expect a new post in the series on at least a monthly basis. Well, there you have it. I can’t wait to dive into this treasure of a manga for the second time, and I hope some of you will be able to take the ride with me. You can join my crew by reading along and commenting your findings below each new post. Nice catch, and yes, you’ve ruined me.